This upcycled wine bottle has been cut into a serving bowl perfect for snacks or dips. Every wine lover needs this for their party! Holds 22 ounces of food. 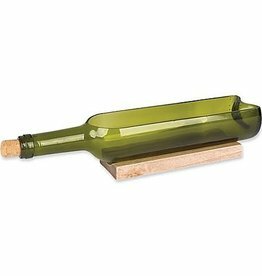 Wine bottle includes a cork stopper and wood stand holding it in place.